Consistently one of my favorite parts of Moldova that always makes me smile is surprisingly the goats. They are everywhere...no really. Everywhere. Anywhere you go that might have even the smallest patch of grass is a good enough spot for someone to park their goat for the day. Every morning anyone with a goat will take it for a walk to a nearby pasture and hammer down a post to keep them tied down. This isn't just true for goats but also for cows and horses as well, however goats are the most common. Although this isn't a year round occurrence as animals are usually kept at home in the winter and during the summer it becomes more common to have a shepherd take care of your sheep along with pretty much everyone else's in the village as everyone is too busy with the harvest and their gardens to take care of them. This has the added advantage of them most likely coming home pregnant in time to have a baby goat in the fall and the kid will have enough time to fatten up through the winter in order to be slaughtered in the Spring. The slaughter is all but assured since lamb or mutton is the traditional centerpiece of the Easter feast in Moldova. Goats tend to be more common than cows and as such goats milk is more often used to make cheese and other dairy products which are a major part of the Moldovan cuisine. Although cow's milk is readily available at the market...however oddly enough it usually comes in a plastic packet and not a bottle which no one has been able to explain. Seriously. I don't get it. About plastic packet: It is just cheaper. 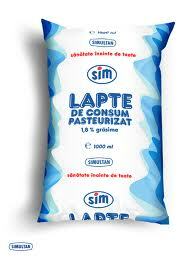 Also you can easily find cow's milk in paper packet, so called Tetra Pak, but for a little bigger price. 20: Is that sour cream or mayonnaise? 48: Happy Birthday to Me!